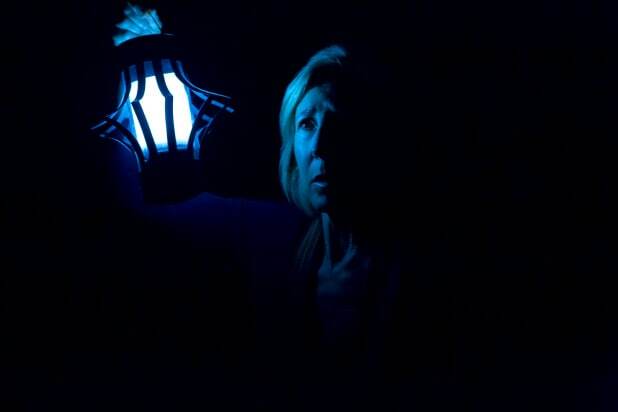 If writer-director-costar Leigh Whannell crafted this third entry in the “Insidious” series as a valentine to actress Lin Shaye, then it’s a box of chocolates for the audience as well. As a horror movie — specifically, a Blumhouse horror movie — “Insidious: Chapter 3” delivers pretty much what you’d expect, from the shrieking musical riff under the main titles onward. But as a vehicle for Shaye, a veteran character actress getting the most screen time she’s ever been given, it’s a blast to watch her anchor this atmospheric look at the personal costs and triumphs of devoting your life to duking it out with nasty presences from the other side. Prince may have asserted in “Purple Rain” that “in this life, things are much harder than in the afterworld,” but the “Insidious” movies would beg to differ, presenting us with a realm that Shaye’s character Elise calls “The Further,” where the restless souls of the dead keep trying to muck about with those of us still on the physical plane. The better-than-expected “Insidious: Chapter 2” ended by setting up a sequel — without Elise — so thankfully Whannell (who has written all three and is now taking the directorial reins from James Wan) went the prequel route, showing us what got Elise back into the ghost-busting biz and how she teamed up with sidekicks Specs (Whannell) and Tucker (Angus Sampson). This movie’s victim is Quinn (Stefanie Scott), a high school senior who feels the constant presence of her recently deceased mother. Unable to reach out to her on her own, Quinn turns to Elise for help in communicating with the dead woman. As it happens, Elise is in a bathrobe-clad funk of her own; her beloved husband killed himself a year ago, and in trying to find him in The Further, she attracted the attention of a ghastly spirit who scared her out of using her gifts to speak with the departed. Elise advises Quinn not to muck about with such spiritual matters on her own, but you know teenagers; of course, it doesn’t help that Quinn and her father Sean (Dermot Mulroney) happen to be living under one of the most haunted apartments since Sigourney Weaver‘s penthouse in “Ghostbusters.” Soon Quinn is seeing a mysterious presence and finds herself trapped between life and death with only a reluctant medium and two nerdy paranormal-chasing Internet geeks coming to her rescue. As a director, Whannell doesn’t have the facility for cheeseball PG-13 jump scares that Wan brought to the prior two films (to say nothing of “The Conjuring”), but he scores a few memorable ones, even when characters are literally sticking their necks somewhere they absolutely shouldn’t. Whether Whannell wants to keep the “Insidious” train rolling or if he’d rather stop after three, I have no strong feelings either way. If he wants to keep giving Lin Shaye roles this meaty, however, I’m definitely on board.